This store is the dream come true of two female entrepreneurs who have years of expertise under their belts. They chose me to help them with their branding and from the initial consultation all the way to the shop’s signage, brochures to the smallest product tags, it was an absolute joy to watch it all come together. The ladies wanted a fresh, beautiful, simple, and recognizable logo as their own and after brain storming, showing first sketches and ideas, we finally decided this one was going to be IT! My goal for this brochure was to convey the feel people are supposed to get when they go and get whichever service they choose at Art of Wax. It is supposed to be light and airy with a relaxed feel. Keeping this brochure bright and clean with some calming photography was the approach I thought would suit the business best. 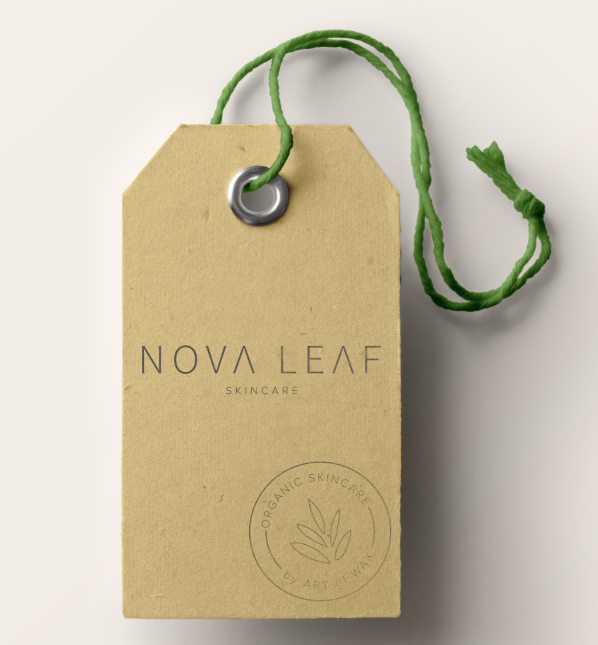 Not only did they open their own store but the environmentally-conscious ladies also developed their own organic product line which, of course, called for another branding project. Going with their already established branding, this logo had to have the same natural, organic, and light feel to it.